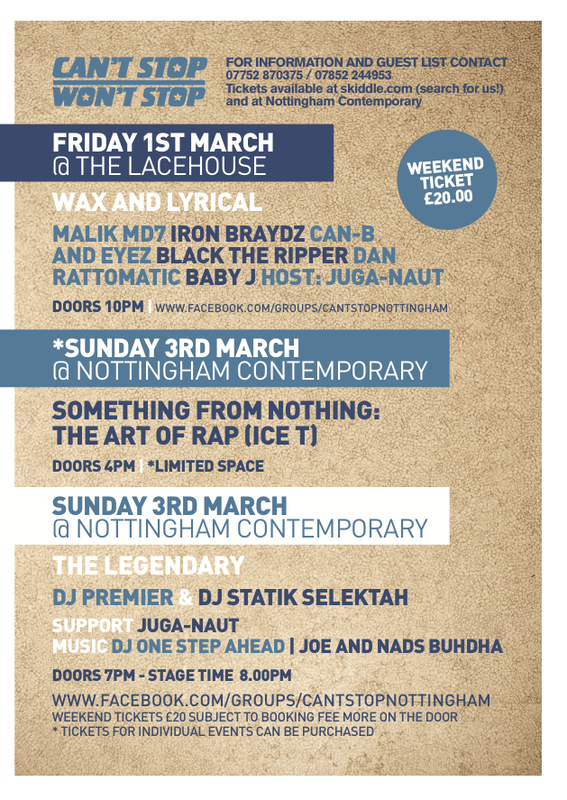 Juga-Naut opening for Legendary ** DJ PREMIER and STATIK SELEKTAH ** 3rd March Nottingham Contemporary, UK. 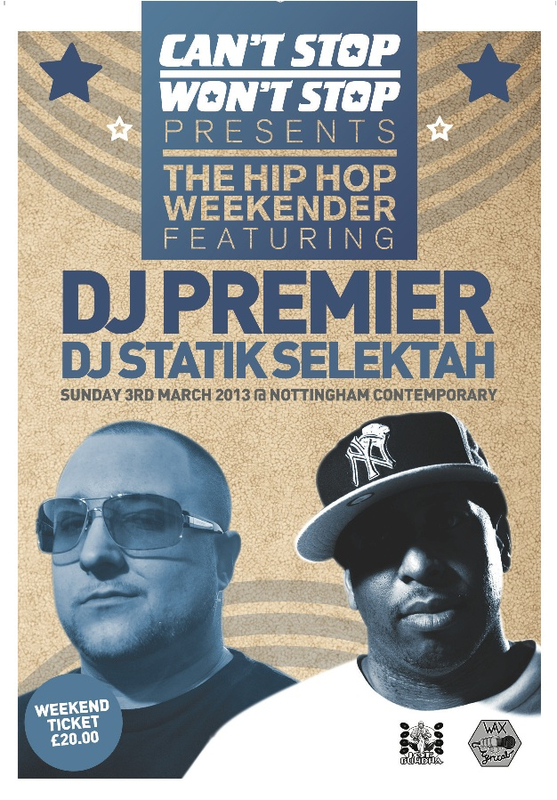 WORLD FAMOUS DJ/PRODUCERS//HIGH CALIBRE BRITISH TALENT // FILM SCREENING//ALL ACROSS THE FIRST WEEKEND OF MARCH. Catch Juga-Naut opening for Hip-Hop legend DJ Jazzy Jay.Gonna be an epic night of Hip-Hop education!! 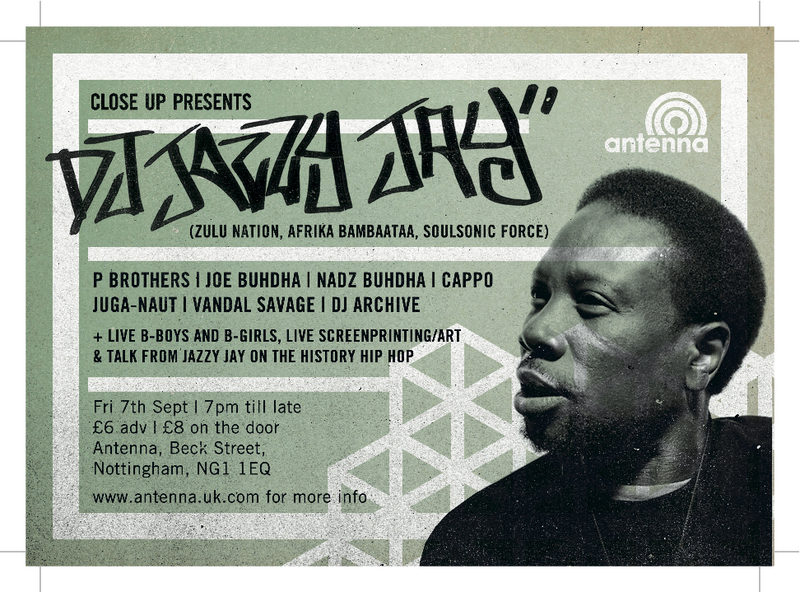 Hip hop legend Jazzy Jay will be in Antenna for the first of our Close Up series. Get an insight to the history of hip hop from the man who co founded Def Jam records with Rick Rubin, was a member of Afrika Bambaataa’s Universal Zulu Nation and who has over 400,000 records in his collection. 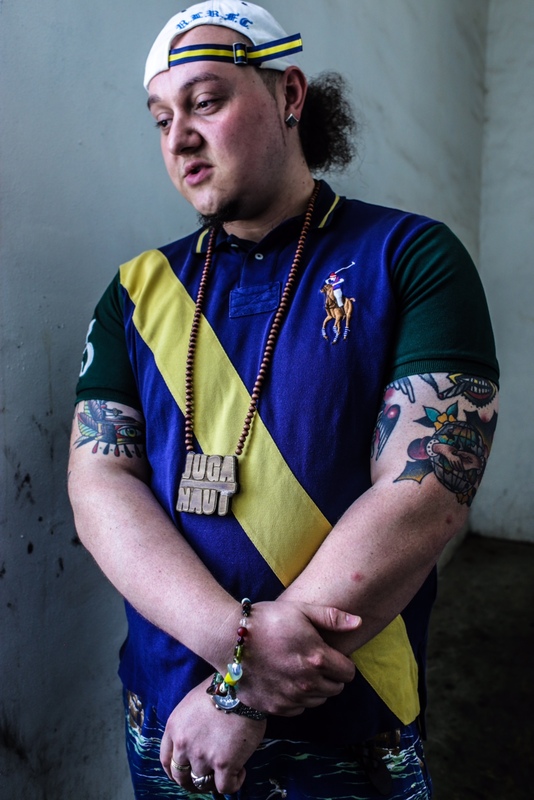 An exclusive night with the world renowned DJ Jazzy Jay…. alongside P Brothers, Joe Buhdha, Nadz Buhdha, Cappo, Juga-Naut and Vandal Savage. Plus Live-B Boys and B-Girls, Live Screenpritning and Art. Tickets are £6 in advance, £8 on the door.